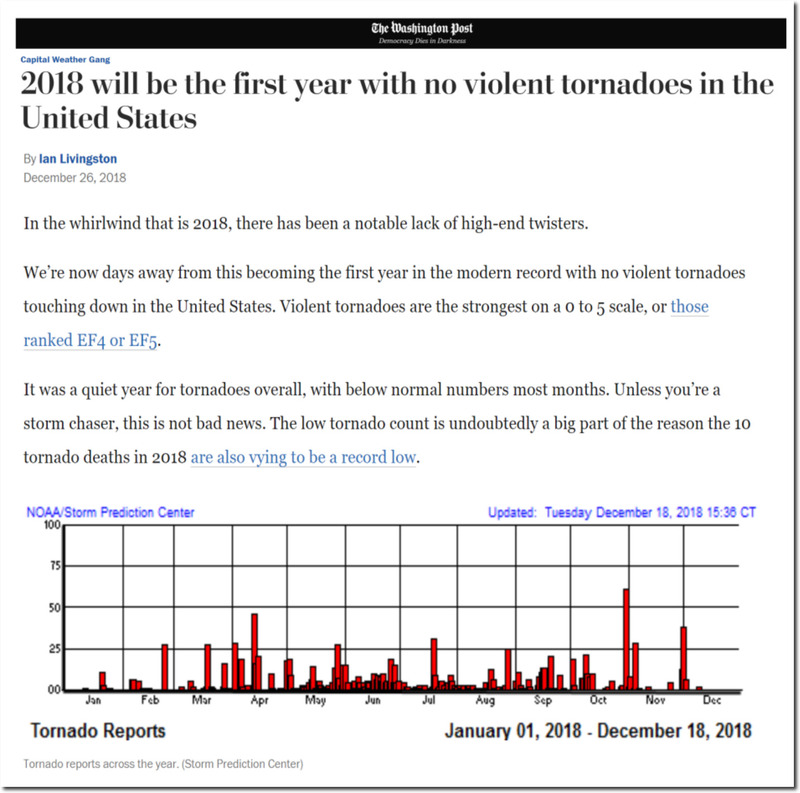 Last year was the first year with no EF4 or EF5 tornadoes in the US. 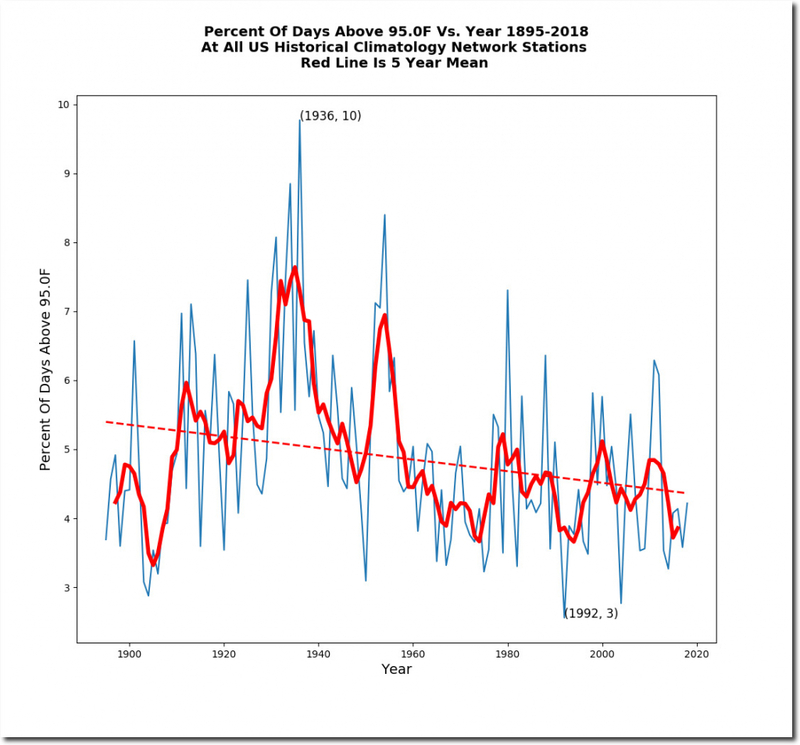 The percent of days above 95 degrees was well below average since 1895, and among the lowest on record. 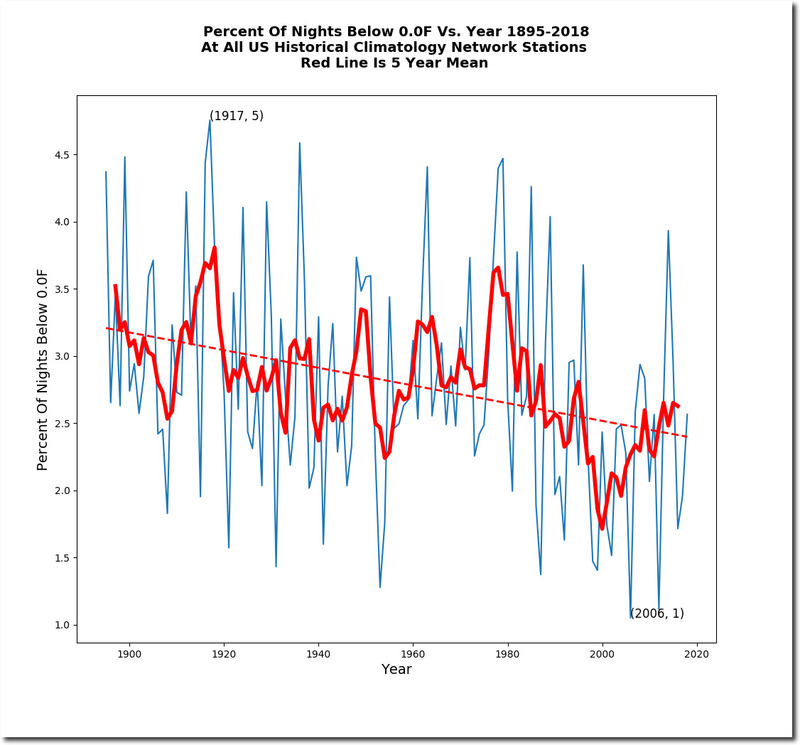 The percent of nights below 0F was also below the the post-1895 average. 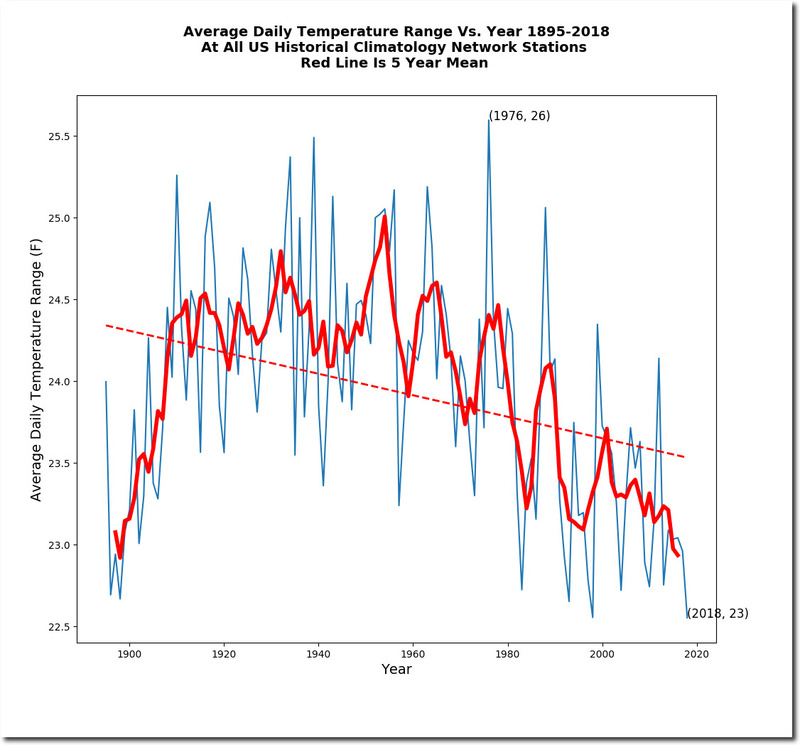 The average daily temperature range (difference between maximum and minimum temperatures) was the lowest on record. 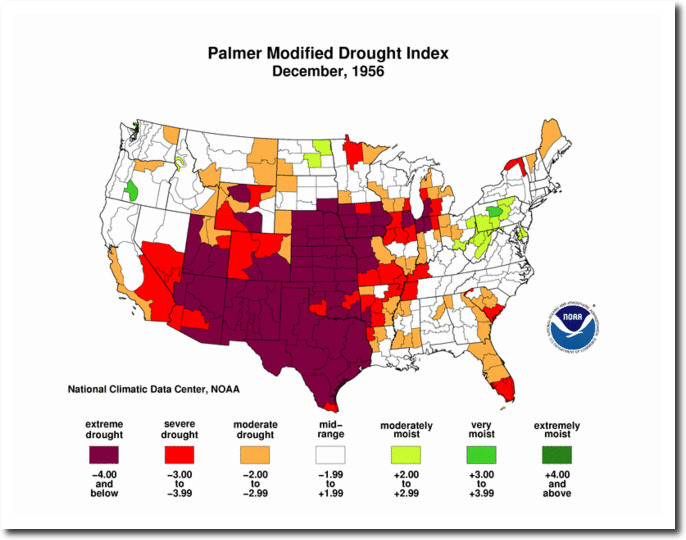 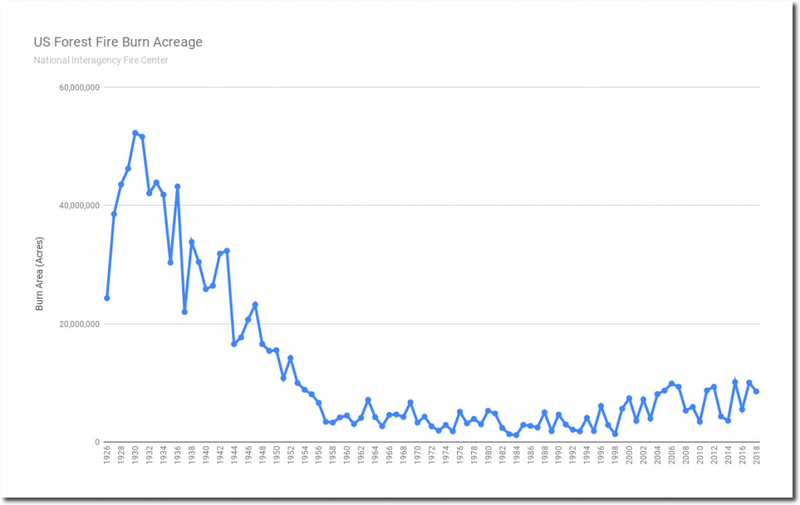 Forest fire burn acreage was well below average for the past century. 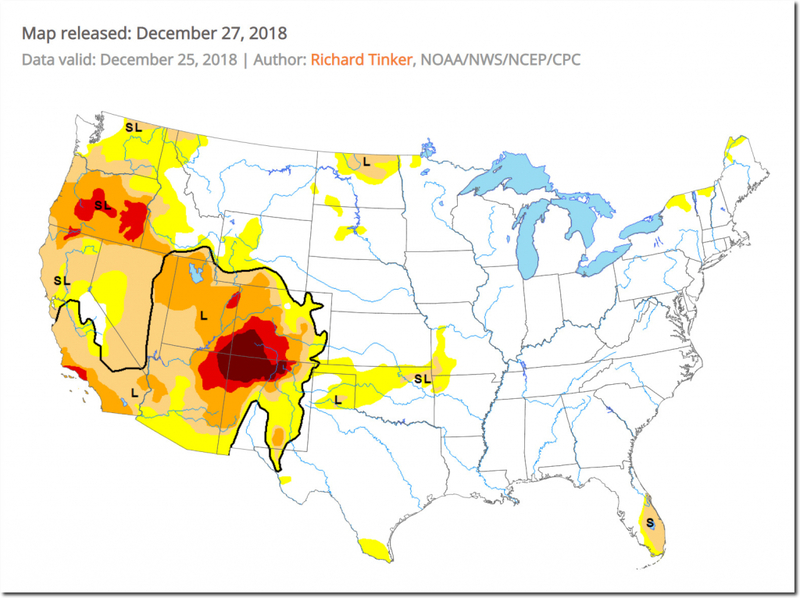 At the end of the year, very little of the US was in extreme drought, and much of that area is now buried in record deep snow. 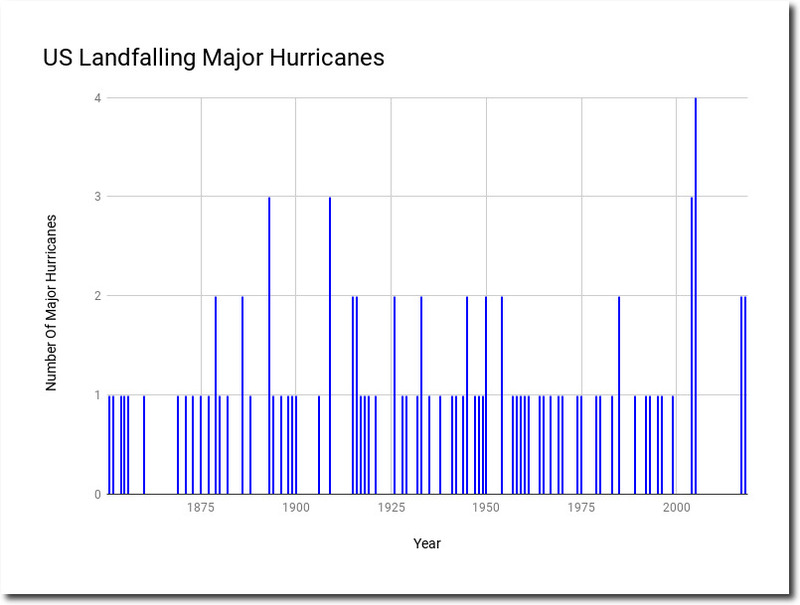 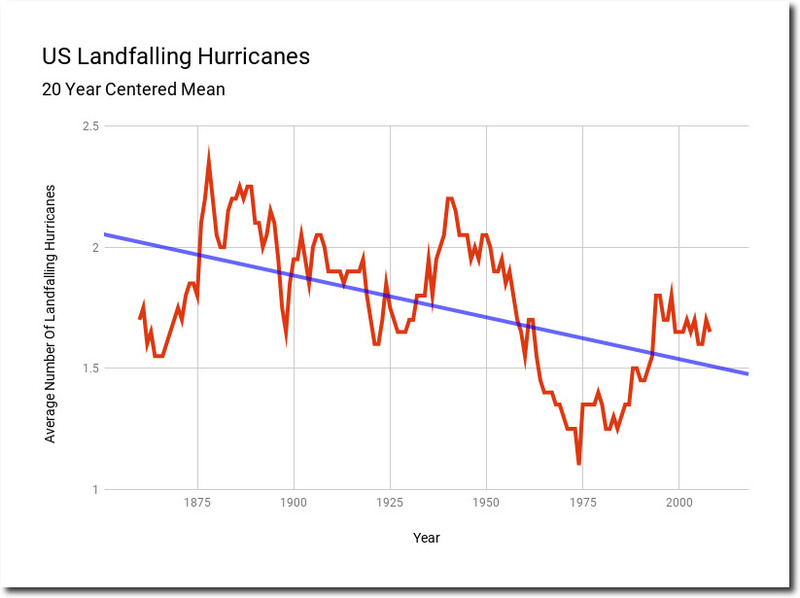 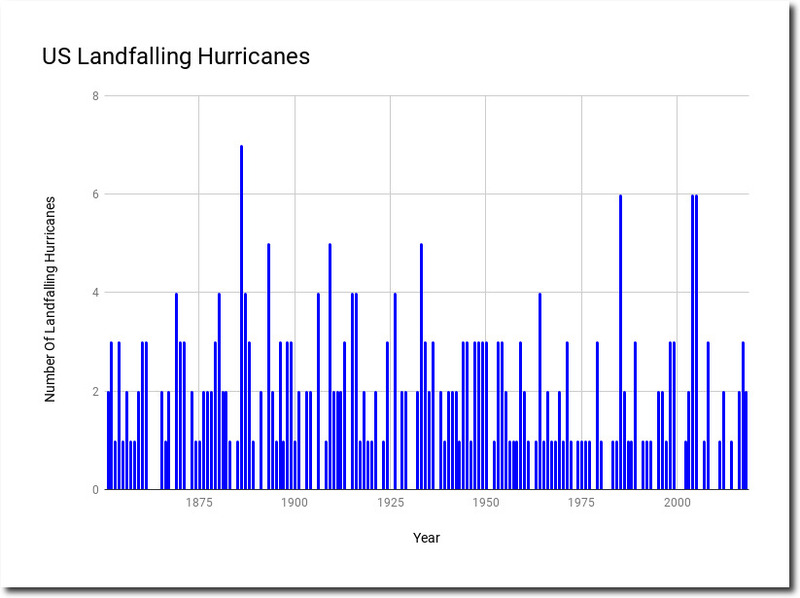 The number of hurricanes was average since 1850, with a downwards trend. 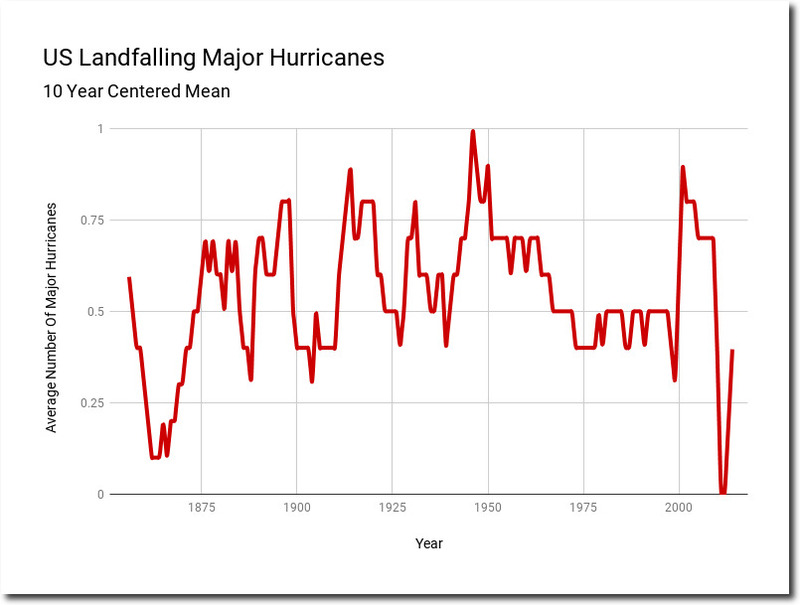 The only metric which was above average was major hurricanes, which were at a record low two years ago. 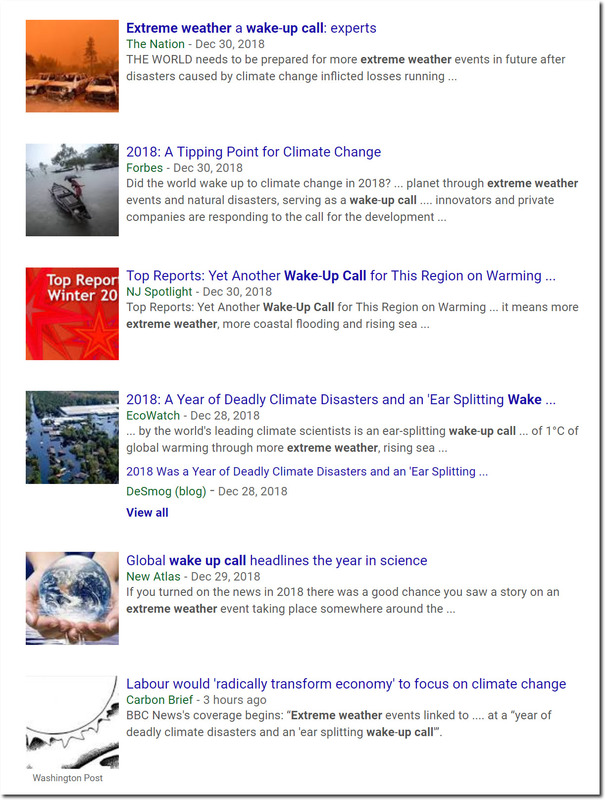 Academics and journalist describe the very mild weather of 2018 as being a wake-up call requiring immediate world communism.